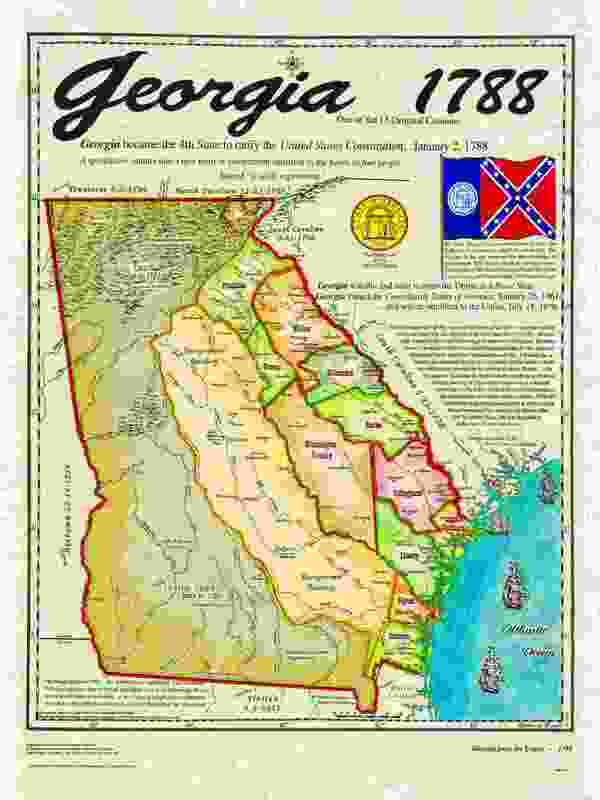 By the summer of 1787, Georgia, the youngest and smallest (population size) State, seemingly had very little to offer to the nation, and needed a great deal of help to deal with her problems, many of which could be described as more or less self-produced. The biggest problem was Georgia’s indifference towards… well… pretty much everything, including defending herself, first against the British and now against the hostile tribes on her borders and territory. And while her participation in Congress had been spotty at best, she had managed to send four delegates to the Convention. Now, in very late 1787 – December 25th, to be exact, Georgia’s leaders gathered to debate ratification of the Constitution. For her, it was more a matter of what was to be gained, than what could be lost. And when the New Year finally rolled in, Georgia kicked it off by officially ratifying the Constitution. Posted on January 7, 2016, in Constitution, Dave, Podcast, Ratification Debates and tagged Ratification Debates. Bookmark the permalink. Leave a comment.